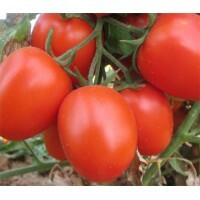 Temperature Tomato is a warm-season crop that is sensitive to frost. 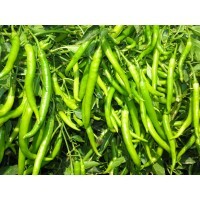 An average daily means of 20 ° to 24 °C is optimum for growth, yield and fruit quality. 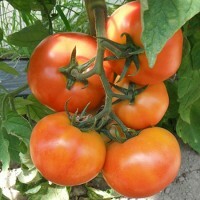 Tomato has given good results when grown in well-managed sandy loam and heavy clay loam free of hardpan but best results are obtained in deep, well-drained loam. The soil should be rich in organic matter and plant nutrients, with a pH value of 6 to 7. Take a few paper cups and fill them with an inch of potting soil. Place the seeds in the cup and cover them with a loose layer of dry soil. Sprinkle water on it for a few days and you will see the seedlings sprouting. Once they are over an inch tall, cut the paper cup away and replant the seedlings in the pots you have prepared. Plant only one seedling per pot. 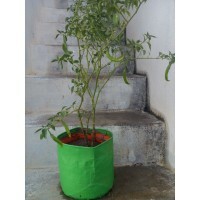 If you grow many plants in one pot, the yield will be less. It's important to keep the roots of the plants covered with soil at all times. They shouldn't be exposed. Also, the soil should be moist — not excessively — at all times. Once the plants start growing, stake them with wooden sticks. Otherwise, they will bend under the weight of their fruits. Water the plants every day. During peak summer, water them twice a day. Harvest the fruit at its peak. 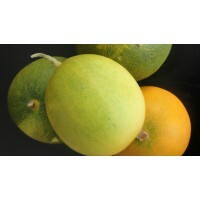 Fruit should appear about 60 days after transplanting. 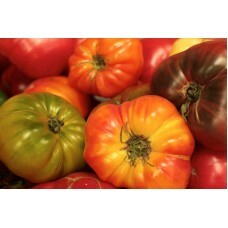 Check the plants daily once they begin to ripen to ensure peak flavor.